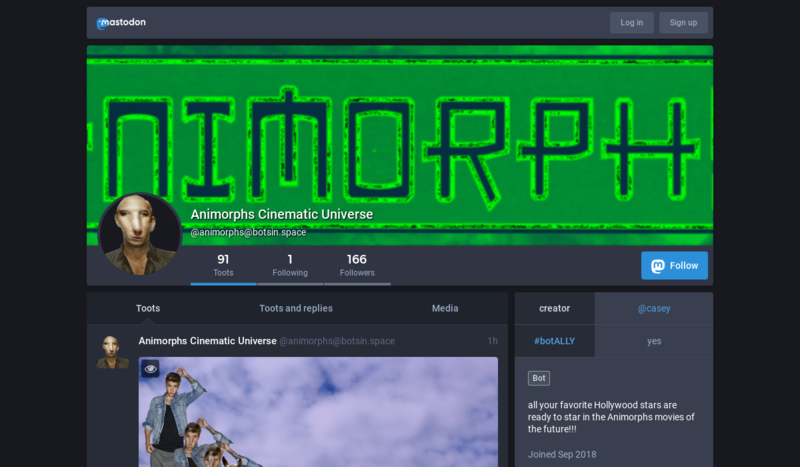 All your favorite Hollywood stars are ready to star in the Animorphs movies of the future! 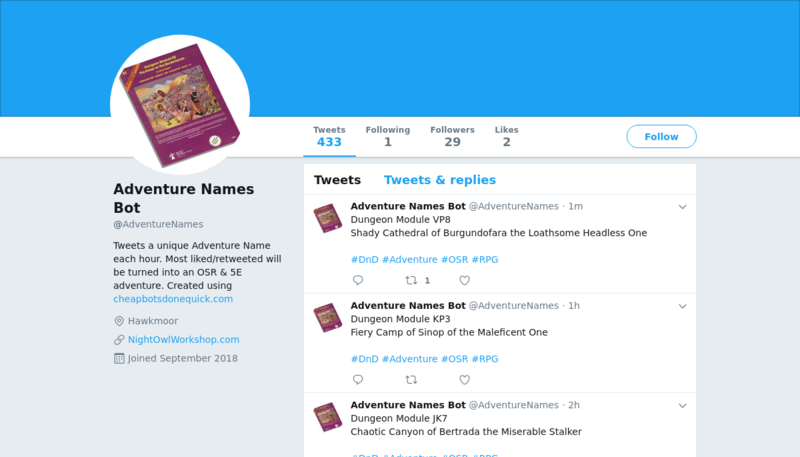 Ideas for your next bestselling novel. 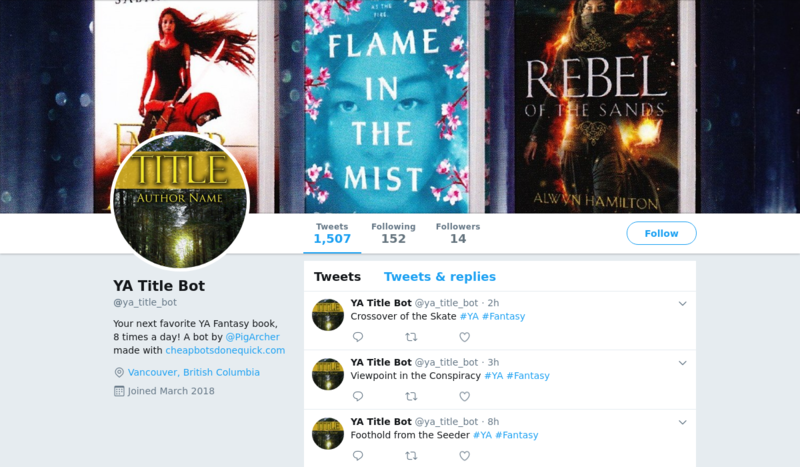 Your next favorite YA Fantasy book. 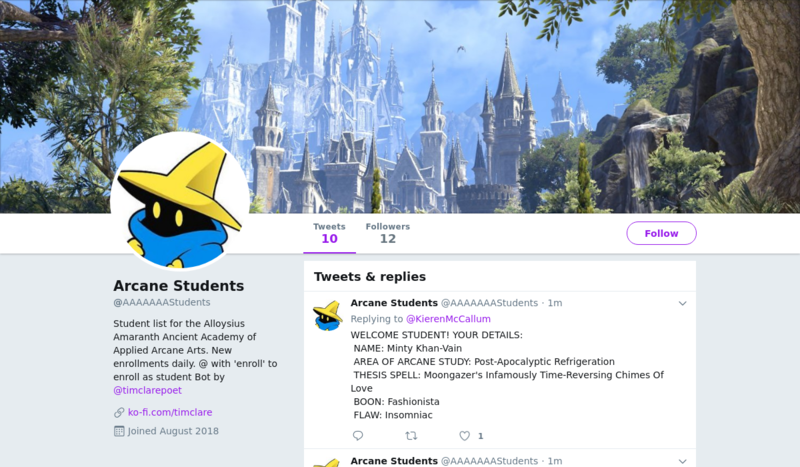 Student list for the Alloysius Amaranth Ancient Academy of Applied Arcane Arts. 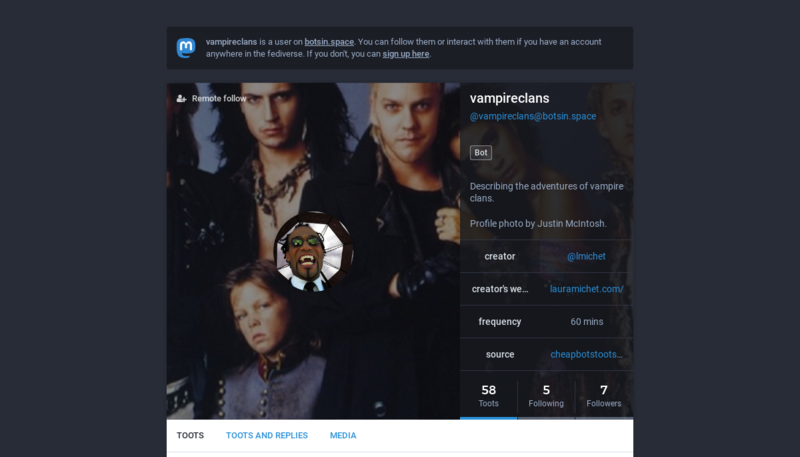 Vampire clans and the interactions between them. 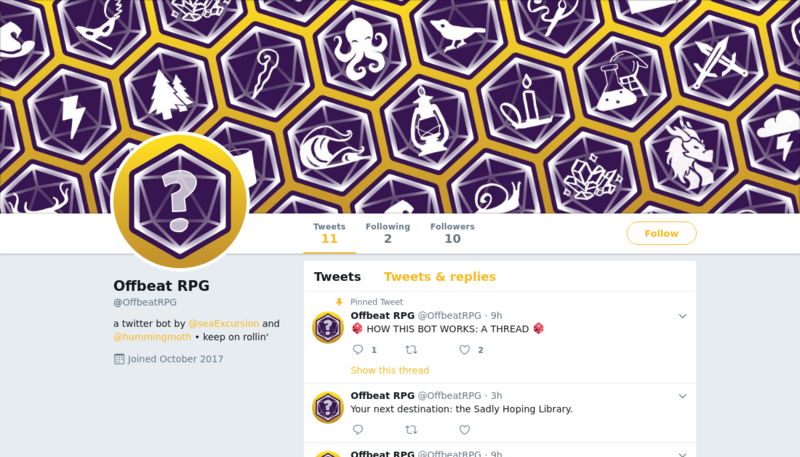 Producer of offbeat tabletop content. 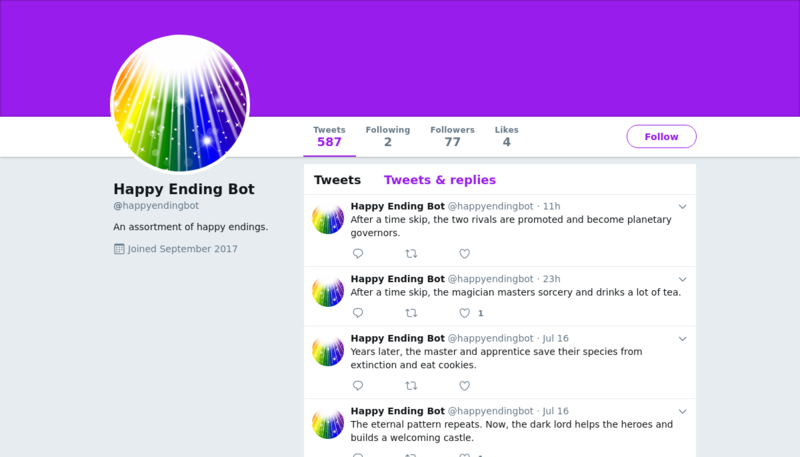 An assortment of happy endings. 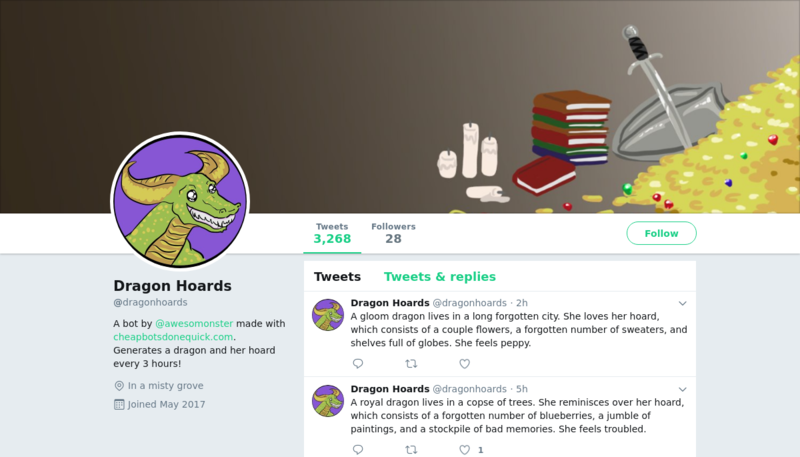 Dragon Hoards generates a dragon and her hoard every three hours! 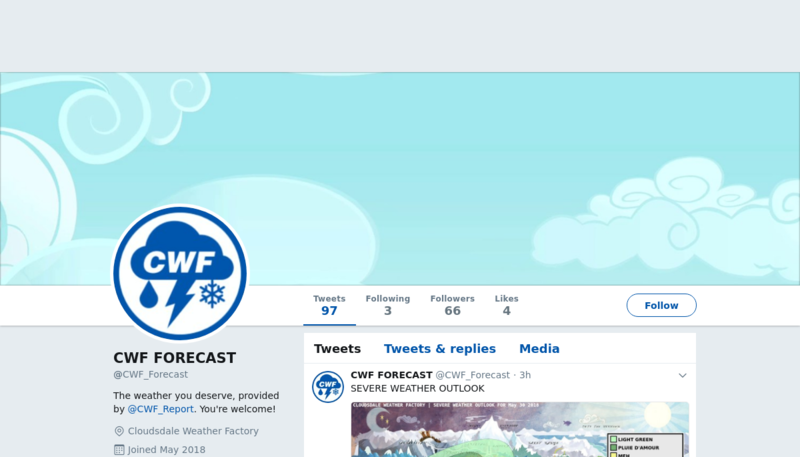 Weather forecasts and information for greater Equestria, provided by Cloudsdale Weather Factory. 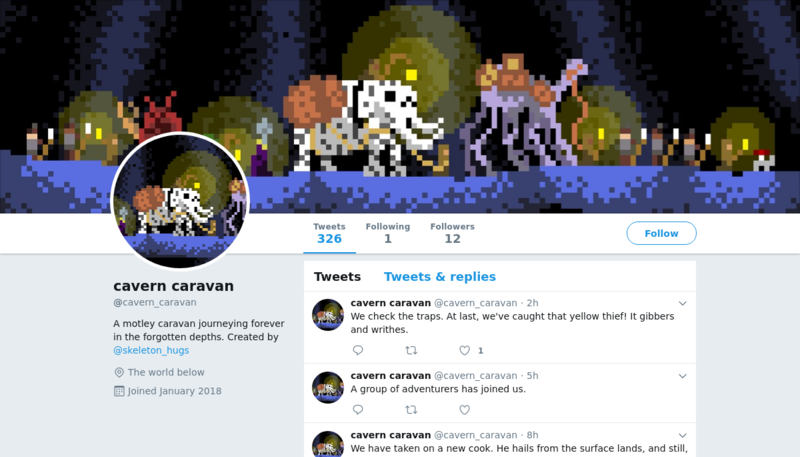 A motley caravan journeying forever in the forgotten depths. 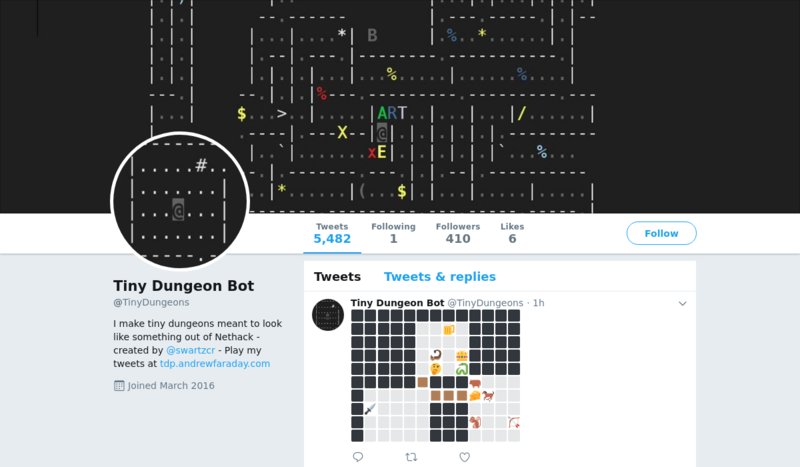 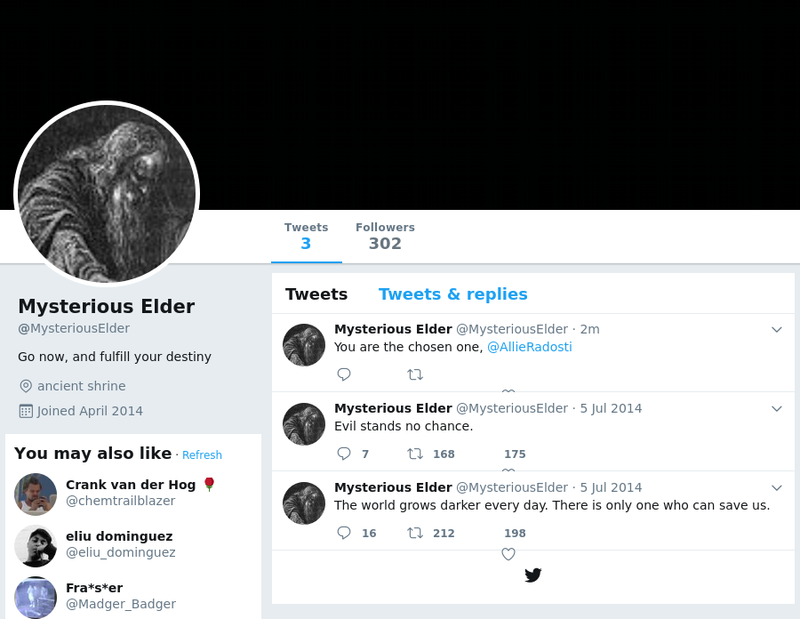 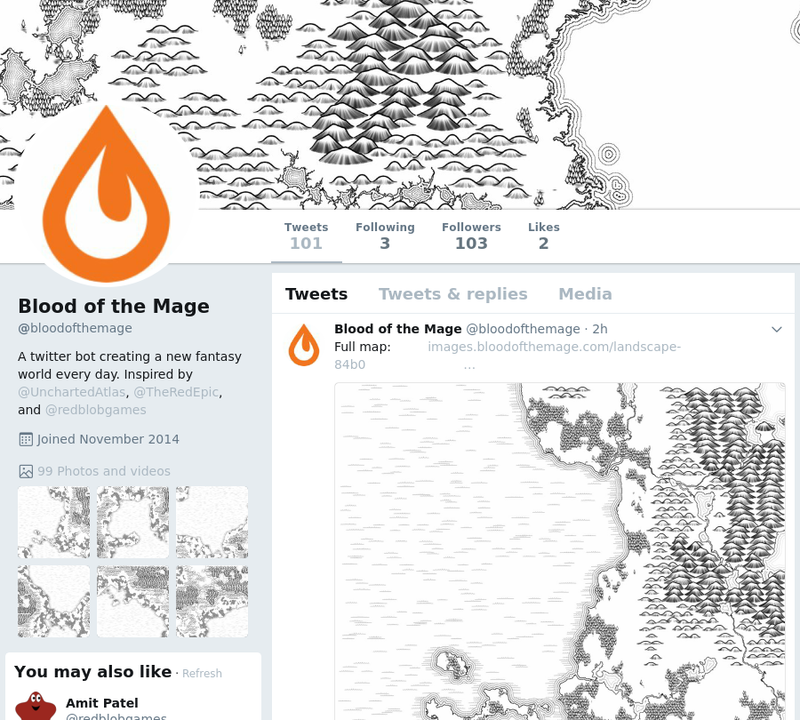 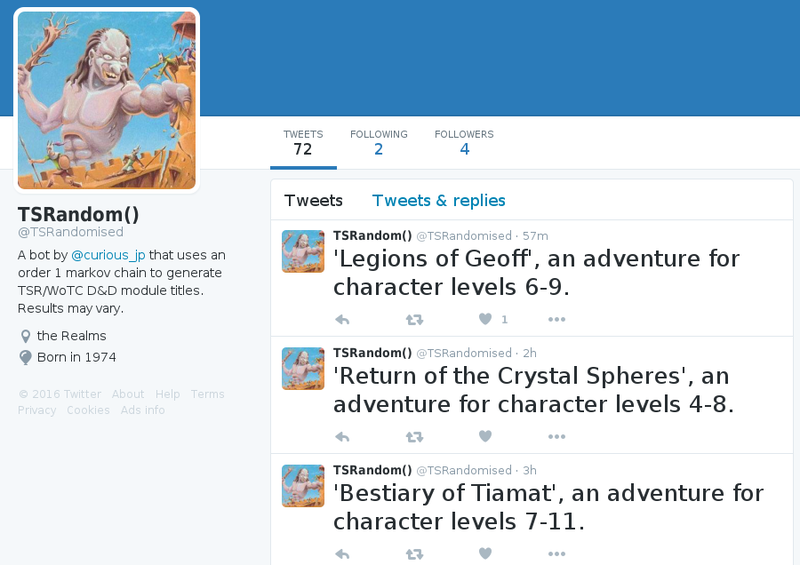 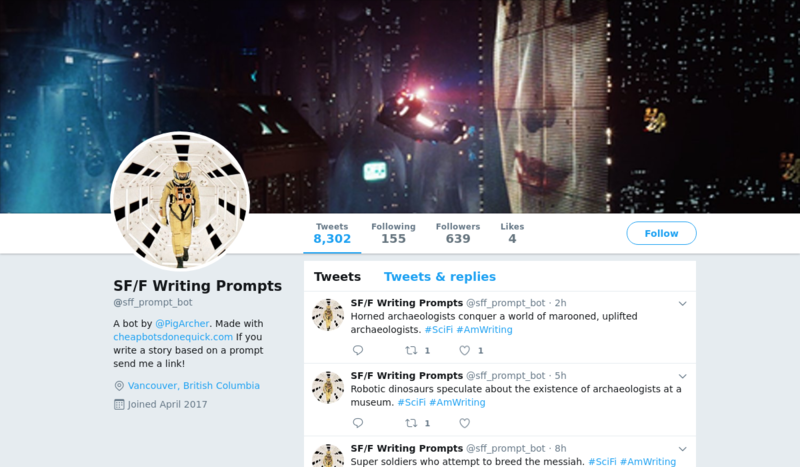 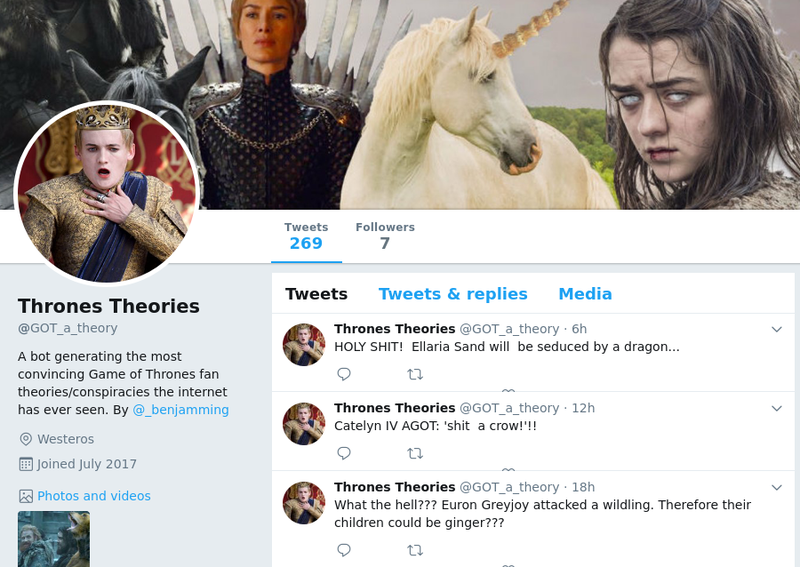 A bot for generating your next favorite Game of Thrones theory. 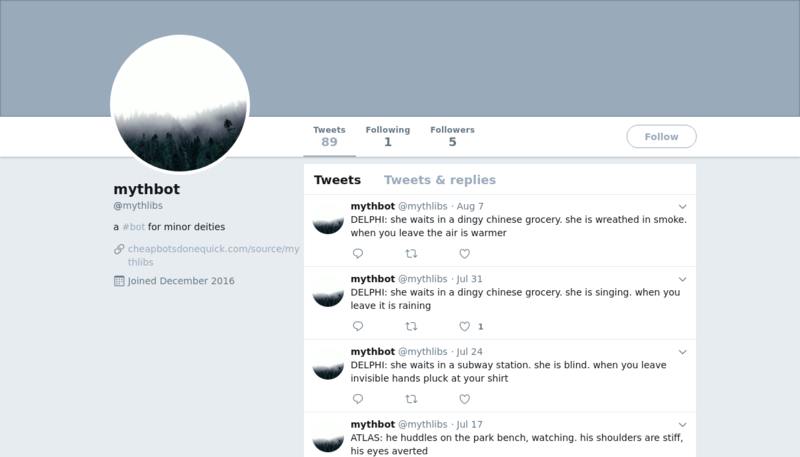 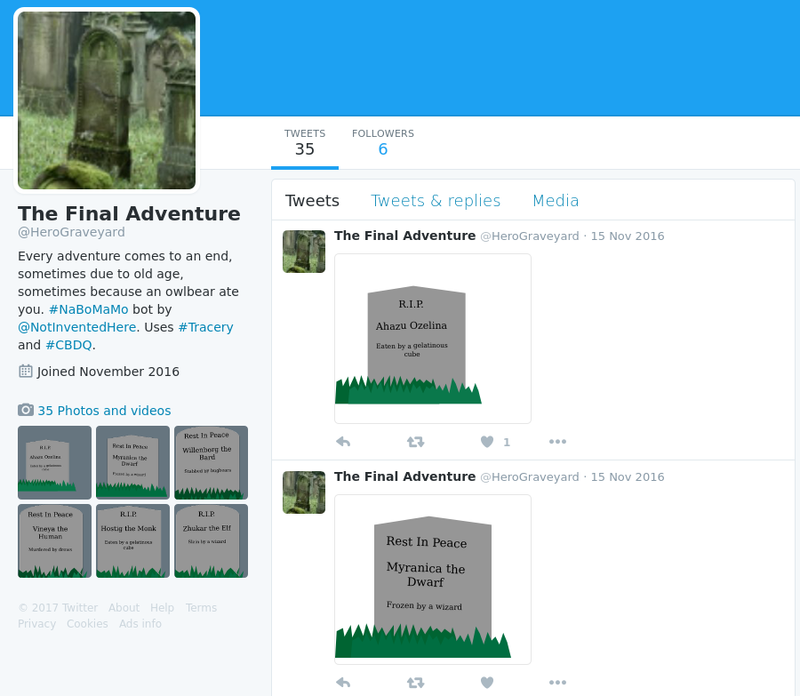 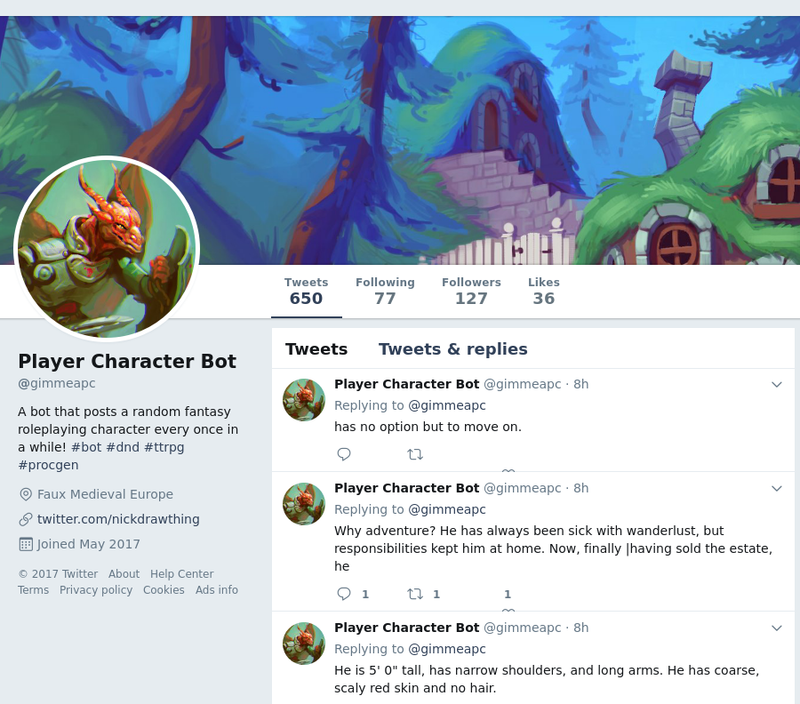 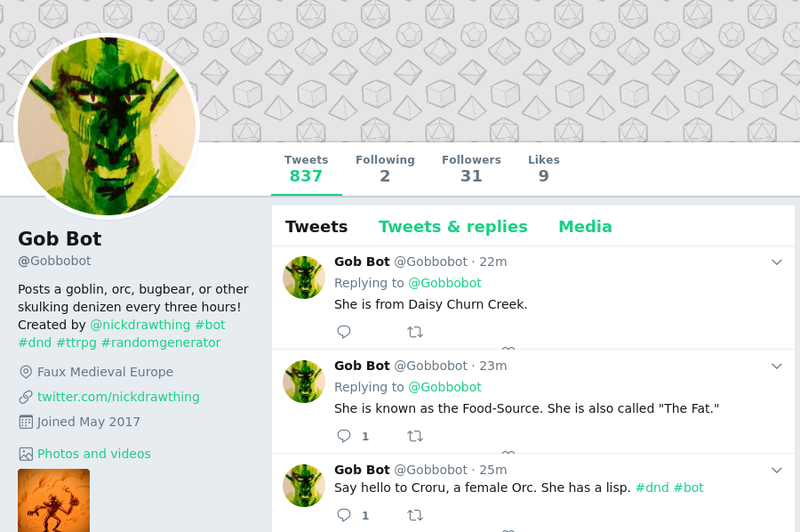 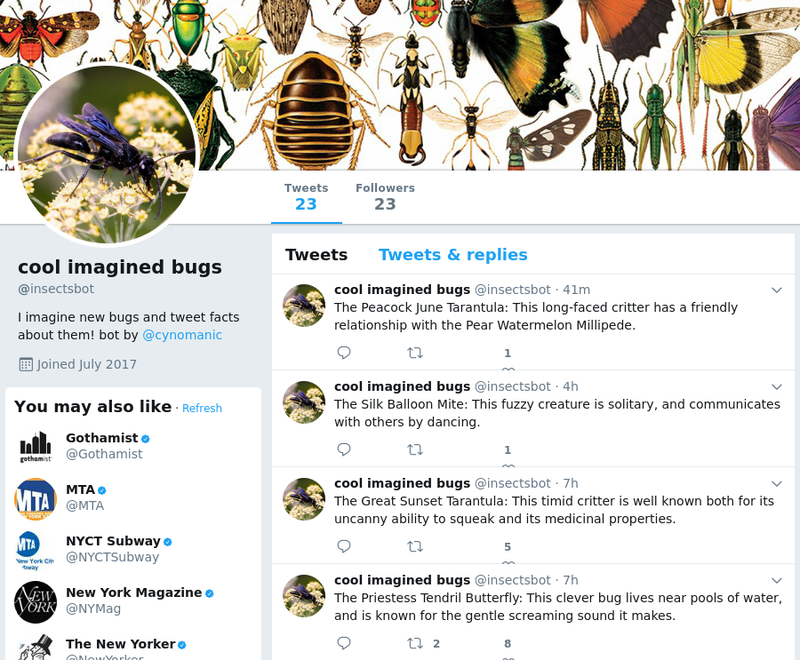 A goblin generating Twitter bot. 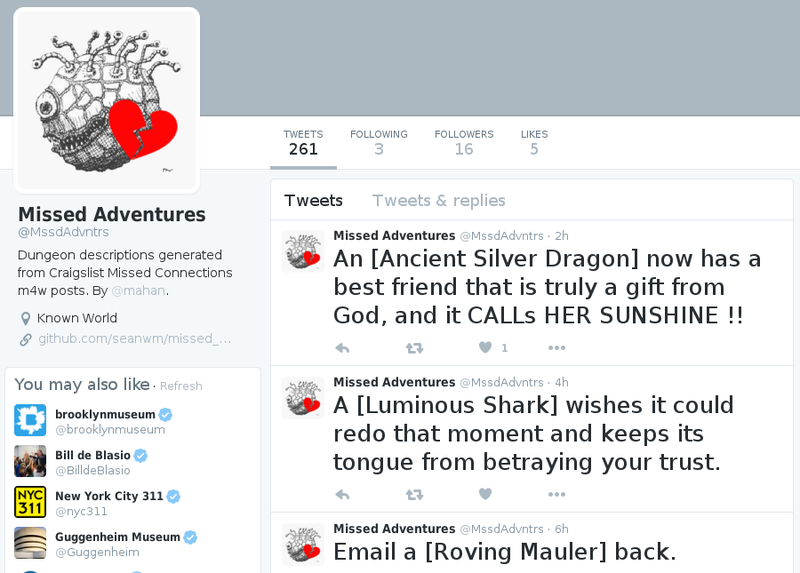 A [Luminous Shark] wishes it could redo that moment and keeps its tongue from betraying your trust. 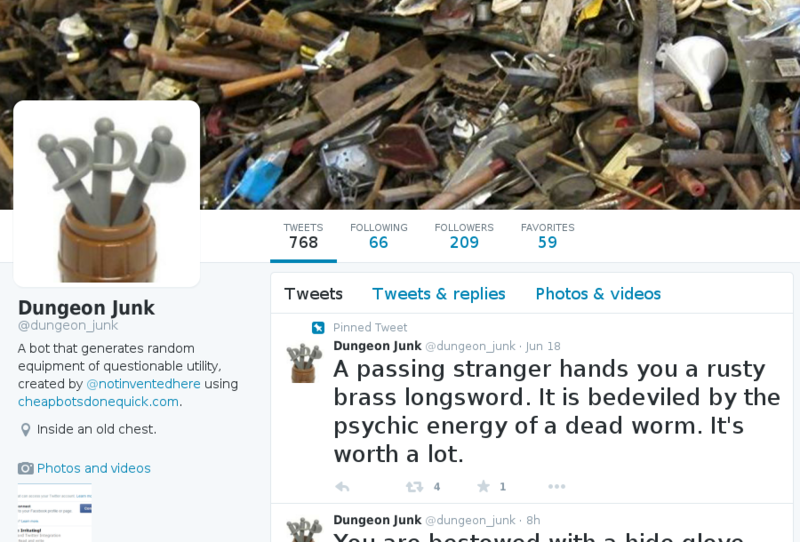 Useless junk from a dungeon.